If we can assist you in any way, let us know by completing the form below! *Note: Please use the Chrome browser to ensure your submission is received. Full Service Career, Business & Child Care Facilities. 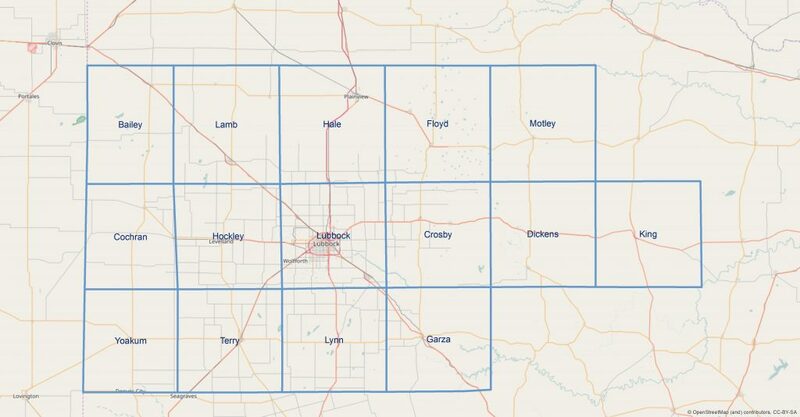 We serve the following counties: Bailey, Cochran, Crosby, Dickens, Floyd, Garza, Hale, Hockley, King, Lamb, Lubbock, Lynn, Motley, Terry and Yoakum. In addition to curbside and accessible parking, designated overflow or long term parking is available in the lot across the street from the southwest corner of the building.